I wanted to undergo a 4 weeks\' Panchakarma and I landed at the Ayurveda Sanctuary with lots of hope. I was not disappointed. The whole place is awesome! 50 acres all for yourself! The whole place is green and the rains added to the beauty. My interaction with Dr. Prashanth before arrival was very good and he made the reservations very easy. Once inside this Sanctuary, it was Dr. Manjula and Mrs. Anitha who took care of all my needs. The experience and knowledge of Panchakarma that Dr. Manjula carries is extraordinary. The pulse reading was spot-on. She was very patient in understanding my needs totally and planned the whole treatment program accordingly. My food was charted out separately by the doctor, but it was Mrs. Anitha Prashanth who took care of the menu everyday. It was wholesome and nutritious to say the least. Each person is considered individually and the menu prepared accordingly. That was great. After 4 weeks\' stay, I feel highly rejuvenated. My body and mind feels fully fresh and I can feel a \"new\" me now. 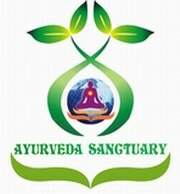 Recommend this place to anyone looking for a good Ayurveda treatment program. Jayanthi Ramesh, Mangalore.